Every so often, to a point approaching more often than not, when I announce that I’ve broke some fantastically rare or even relatively common set of cards I’ll receive a reply via twitter, blog comment, email wondering why I’ve done so. Usually the comment carries just enough flavor to let me know this is certainly the wrong thing to do. Well, I did it with baseball cards way back when and I do it with movie cards today and I’ll do it with practically anything issued in set form. There’s one big giant obvious reason why I choose to sell items this way: the singles pay-out better over time; but there are several less obvious reasons why I do so, which I believe offer a service to the collector. Since nearly 100% of what I currently deal with are movie cards this list will be specific to that particular area of collecting. 1) Many people collect only their favorite star. 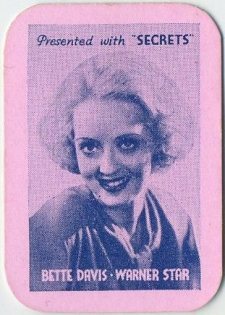 They don’t want an entire set of cards, they only want the Joan Crawford … or Jean Harlow … or Kay Francis … or Elizabeth Allan. Huh, who? I find it very interesting to track over time who does sell and who doesn’t sell. In an worldwide online marketplace you really only need a single collector to prove someone does sell–and you’d be amazed at the quality of classic movie star who doesn’t even have that one! 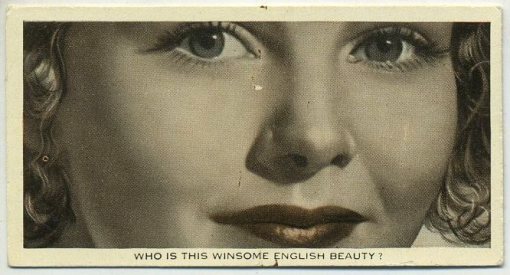 Who is this winsome English beauty? Why Elizabeth Allan of course! I ran a sale recently on some major leading ladies who never move for me. I thought perhaps I’d priced them too high, so I ran them at 30% off my typical prices. The actresses: Norma Shearer, Jeanette MacDonald, Janet Gaynor. These are huge names in the classic film world so the possibility existed that I’d priced too high based on my own perceptions and I reasoned that knocking 30% off the top should correct that factor. I sold exactly 1 item during the sale … and it was a 1920’s card of obscure silent film actress Katherine MacDonald, a card which had been marked on sale by mistake when I was discounting my Jeanette MacDonald cards! 2) Some people are actually building sets, and if they’re building sets they don’t need another whole set, they need singles. This was much more of a factor during my baseball card days when it seemed half of all collectors were building vintage sets card by card, but it does exist in the non-sports world, typically with the less common sets. These collectors have a need to be fulfilled. 3) Grading is my strength, not a weakness. I grade hard and I grade good. I admit I’m cocky about it, but until my eyes go I feel I have reason to be. It’s a lesson I learned back when I was doing some limited mail order sales through Sports Collectors Digest (SCD) back in the late 80’s/early 90’s. If you over-grade you might feel pretty good sending your item out to the buyer, but you’re going to feel pretty lousy when it returns with a nasty note from them demanding their money back. I sharpened my eye when I was mailing out rookie cards wholesale to other dealers back then, I wanted the entire lot to be accepted as was, with never a doubt of a single card coming back to me. I always got paid. And I’ve continued getting paid online over the past decade by not only applying a strict grade in more than a single parlance (VG-EX or 4.5/10 for example) but following up with as many details as I can about just what is wrong. Sometimes these details can make an item seem much uglier than it really is, and I’m sure some of my details turn off some potential buyers, but the ones who follow through have been almost universally happy. My favorite claim when a buyer tries for a larger discount based on a lower grade (after noting that the price would have been higher if it graded higher) is to politely state something to the effect of “My VG is the other guy’s EX+” or “My EX is the other guy’s EX-MT” with the other guy not being anybody specific. I’ve bought enough online to feel pretty confident in that statement and that’s not to indicate that I feel everybody over-grades, it is meant to indicate that I feel I under-grade. 4) Which brings me to my final point, definitely the touchiest subject. This one is by no means universal, but I’ve experienced this more than enough times as a buyer to know it’s a problem. It was a problem when I did baseball cards and beyond the thrill of the chase I fell it was likely the number 2 reason for building a set yourself. Okay, a set usually comes with a single grade, or sometimes a range of grades, such as ranging between VG and EX, and yes, this can be accurate. From the best dealers you’ll find a set listed with a general condition plus qualifiers, ie: EX with cards # 4,7,29 in G-VG with light creases. I applaud such detail and I return to buy more from such conscientious dealers–if you want sets, it may take some trial and error, but find them. But how many times have you bought say an EX-MT set of cards to find the 3 or 4 best cards in the set are damaged? I’ve seen it often enough to factor it into the price I’ll pay when dealing with somebody I don’t know. 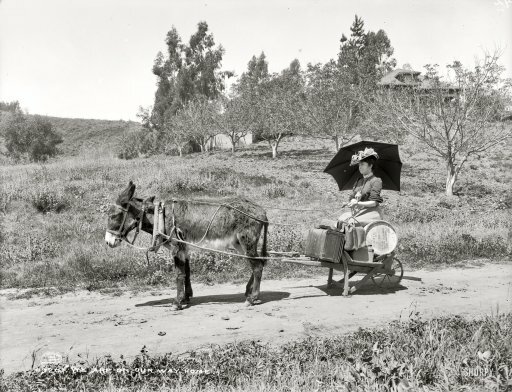 Look for the details, typically grading that seems vague is vague for a reason, sometimes that reason may simply be time limitations, but I’ve noticed occasions where I believe it’s not. There we go, now I’ve got a post I can send people right over to the next time I’m asked why (or how dare I) break up a complete set. And we’ll exit with a link to a pretty rare set I recently broke up, 1935 Secrets Magazine Film Star singles available right now on eBay.